The objective of this book is to provide you with extensive knowledge of AutoCAD, whether you are taking an instructor-led course or learning on your own. 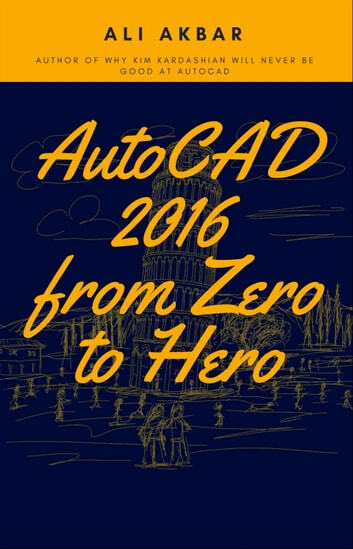 AutoCAD 2016 From Zero to Hero is an ideal reference guide, unlike tutorial-oriented books where specific information is hard to found. 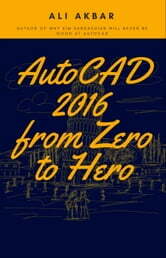 This book helps you become an AutoCAD expert and has been fully updated to cover all of the AutoCAD′s new capabilities. This indispensable resource teaches AutoCAD essentials using concise explanations, focused examples, step-by-step instructions, and hands-on projects. This detailed reference and tutorial is the perfect resource for becoming proficient with AutoCAD.